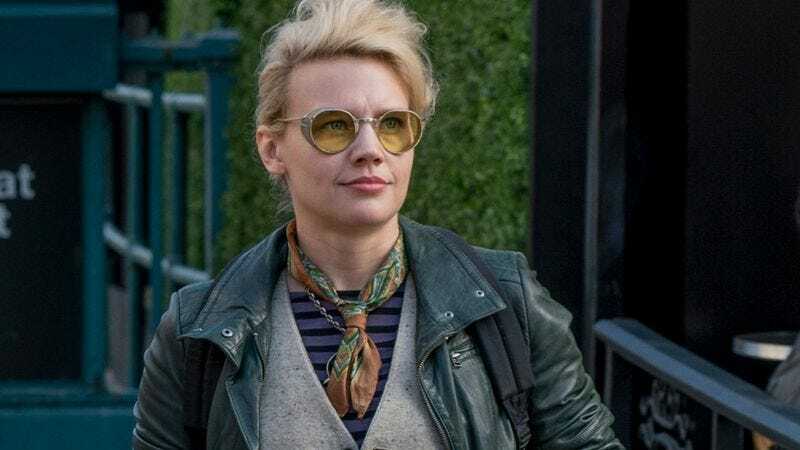 Kate McKinnon’s recently played characters with some pretty prestigious gigs: Ghostbusters’ Jillian Holtzmann was a scientific badass, and Hillary Clinton was almost the leader of the free world on Saturday Night Live and in the real world. We’re not sure what her position is exactly in Office Christmas Party, but it looks high pressure, if only because Jennifer Aniston is playing another horrible boss. Well, all those stressful jobs have sent McKinnon back to school, to play a lunch lady with magical powers. Deadline reports that McKinnon will lead the film adaptation of The Lunch Witch, based on Deb Lucke’s YA novel. The recent Emmy winner will star as the titular witch, Grunhilda, who finds work as a lunch lady thanks to years of experience making “foul brews,” which is Wiccan for Sloppy Joe’s, we think. But, in any case, Grunhilda will take great pleasure in frightening elementary school kids until she befriends a spectacled tyke. This newfound tolerance for mere mortals will reportedly not go over well with Grunhilda’s “brood” or coven, who have been pestering mankind for generations. Angry Birds co-director Clay Kaytis will make his live-action debut in helming the film.